Huntertown, IN - Bella Innovative Modern Cabinetry is poised to redefine the cabinet industry with state-of-the-art modular solutions that are fast and easy to assemble. 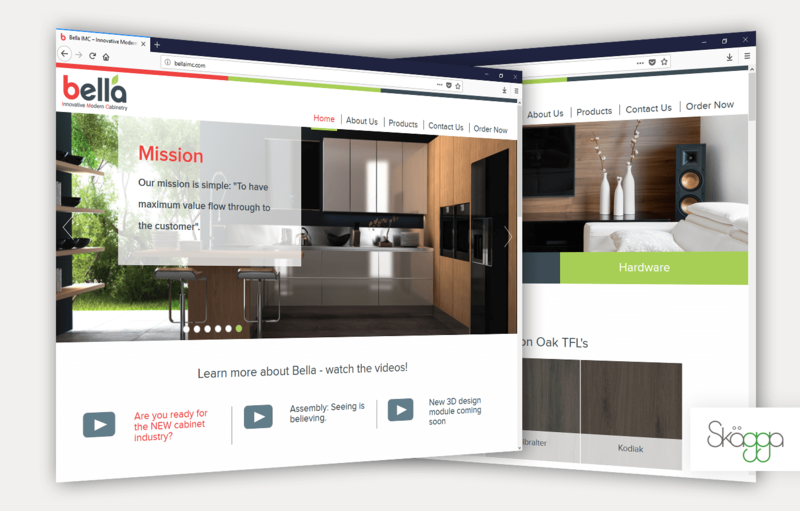 The team here at Skagga, Inc. was brought in to help re-surface Bella IMC's website to provide an improved UX throughout. By combining an updated layout and modern fonts with a high resolution photo experience before the fold, the site is now able to showcase Bella's exceptional product and ordering process with out additional browsing. Find out more about Bella IMC at bellaimc.com and be on the lookout for more from our collaboration with Bella in the near future.